In a world of finite resources, clean water is a commodity that continues to be more and more valuable. It is a global priority to make sure that we use the water we have wisely. SKF is committed to the more efficient treatment of wastewater, and is working to help reduce the environmental impact of this process with the use of permanent magnet motor and active magnetic bearing technology. 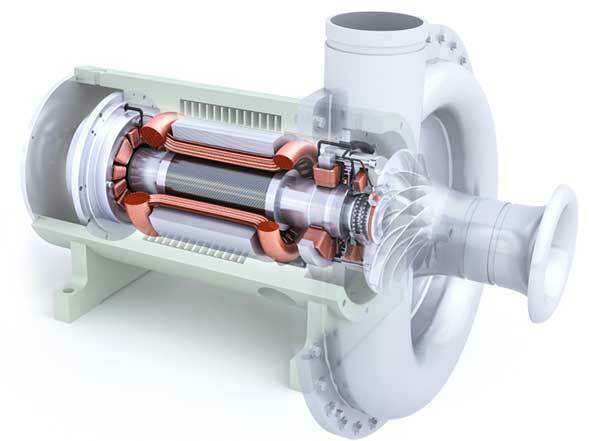 As a world leader in active magnetic bearing systems, SKF has pioneered the use of this technology since 1976.Already used in the oil and gas, energy, semiconductor and machine tool industries for a range of advanced applications, there is considerable potential to offer more efficient solutions for wastewater treatments. High-speed PM motors equipped with active magnetic bearings offer the benefits of a low need for maintenance, reduced energy consumption, low noise levels and lubrication-free solutions that contribute to overall lower cost of ownership. The motor and magnetic bearings are based on field-proven technology extensively used in chiller applications for air conditioning. To meet the rapidly rising market demand for premium-efficiency equipment for the water industry, SKF has developed an innovative and sustainable solution for direct-drive centrifugal aeration blowers. 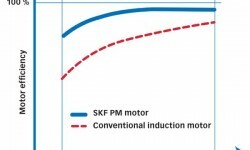 SKF offers a new product line of high-speed permanent magnet motors (PM motors) equipped with active magnetic bearings (AMB) including the latest-generation magnetic bearing controller (MBC). The rated output power ranges from 75 kW to 350 kW, with rotational speeds up to 35,000 r/min. This range of high-efficiency oil-free motors has a number of features that enhance the performance of a blower. For example, unlike traditional induction motors, the PM motor maintains efficiency at half-load operation. 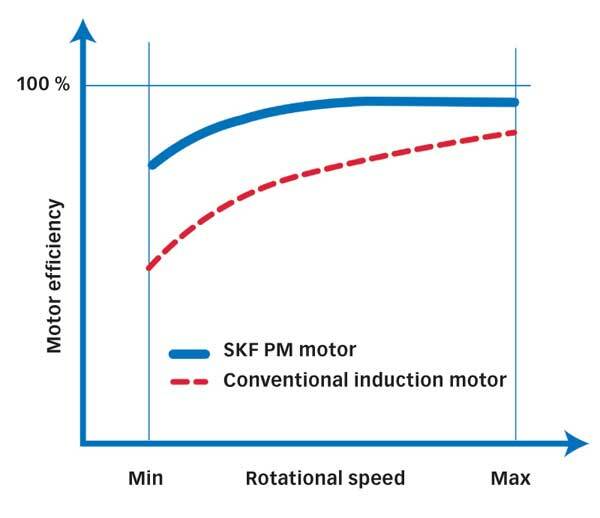 The SKF direct-drive solution for aeration blower systems also uses fewer mechanical parts than traditional drive systems, which means a reduced need for maintenance and higher reliability. Magnetic bearings provide powerful built-in monitoring and diagnostic capabilities that enable customers to identify potentially troublesome issues and prevent equipment failure. 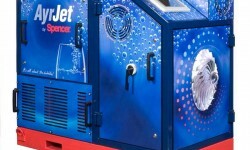 The product was presented during the Hannover Messe, Germany, in April 2013 and incited considerable interest worldwide among blower manufacturers. Due to its highly efficient performance, the SKF solution for aeration blower systems is included in the SKF BeyondZero portfolio. It is projected that by 2030, nearly half the world’s population could be facing a scarcity of water, with demand exceeding supply by 40 %. So there is a growing need to develop a more advanced and efficient wastewater treatment. In biological treatment, the blowers inject compressed air into aeration tanks to support millions of aerobic bacteria, which use oxygen to break down the organic waste in the sewage water. The traditional centrifugal blower concept relies on an induction motor with mechanical gearing and oil film bearings and typically suffers from high power losses and wear issues. The maintenance costs of such conventional technology are high. 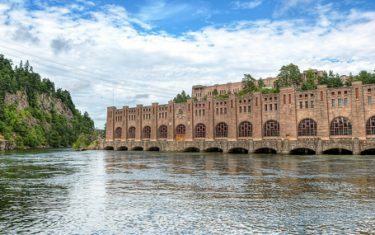 Moreover, the blowers consume energy, representing typically 50 % or more of the water-treatment plant’s total energy use. In fact, up to 80 % of the life-cycle costs of a blower relate to electricity consumption. Thus, the initial purchase price of the equipment is far less important than the total cost of ownership. Stimulated by the energy price increase and evolution in drive technology, there has been a technology shift towards more efficient variable-speed direct-drive centrifugal compressors (blowers). This SKF solution combines the cutting-edge technology of permanent magnet synchronous motor and active magnetic bearings. The system solution enables the best of both worlds: high efficiency from PM motor technology and unprecedented reliability offered by the AMB. The permanent magnet motor is a three-phase AC synchronous electric motor that has stator windings and permanent magnets on the rotor (fig. 1). The rotor acts very much like a compass following the electro-magnetic field generated by the stator. The rotor turns at the same rate as the rotating magnetic field of the stator; in other words, the rotation of the shaft is synchronized with the frequency of the current. The rare-earth permanent magnets are mounted directly on the shaft and retained by a carbon-fibre sleeve. The rotation speed is controlled by the variable speed drive. The PM motor technology offers significant advantages over regular induction motors. Above all, higher efficiency, up to 98 %, can be achieved over a wide operating range (fig. 2). The motor is more compact and lighter. It has an excellent torque-speed curve, longer lifetime and high power density. It can be operated at a wide speed range (e.g., between 10,000 and 35,000 r/min). The direct drive configuration, with an impeller mounted directly on the motor shaft, elim­inates gearing and other associated mechanical components used in traditional setups, making it more reliable with significantly reduced need for maintenance. An active magnetic bearing is an advanced mechatronic device that provides contact-free support of a rotating or a stationary shaft levitated in a magnetic field. The shaft’s position is maintained by applying controlled electromagnetic forces on the rotor in both radial and axial directions. The system comprises electromechanical (bearings, sensors) and electronic (controller) parts. The solution developed for the blower application consists of two identical bearing stator cartridges providing both radial and axial forces on the shaft. Each cartridge includes the bearing itself, position sensors, temperature probes and backup bearings. Position sensors measure radial and axial displacements of the shaft with an accuracy of less than a micron. The bearings are designed and manufactured with insulation class H (with max­imum operating temperature up to 180 °C). The backup or auxiliary bearings are a safety feature that support the shaft at standstill but are not operational when the magnet bearings are energized. In some critical situations when process load exceeds the capacity of the AMB, these ball bearings support the rotating shaft and prevent any contact between the rotor and the stator. For this application, the radial clearance or magnetic airgap between the stator and the rotor is about 500 microns. The design means there is no contact, no component wear and no need for lubrication. The electronic magnetic bearing controller (MBC) consists essentially of a digital signal processor (DSP), the brain of the system, and power amplifiers that supply electric current to the magnetic bearings to generate the magnetic field. The DSP collects data on shaft position at a high sampling rate (e.g., 15 kHz) from the position sensors, corrects error by means of sophisticated algorithms and regulates the amplifiers’ power so the shaft is maintained in the desired radial and axial position. 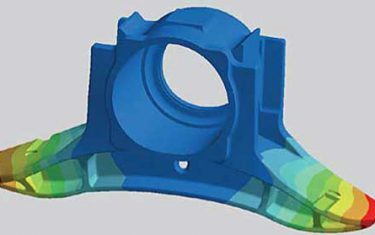 An AMB system produces stiffness and damping forces and can influence rotor dynamic behaviour during operation. The stiffness and damping of the bearings are optimized with the help of sophisticated mathematical algorithms, so a stable machine operation is provided in a wide range of oper­ating conditions. 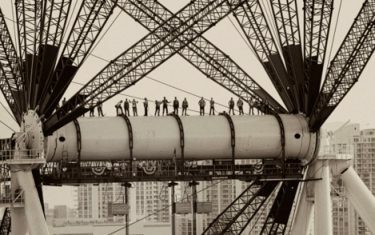 Such an active control is a fundamental difference with conventional bearings, and it provides a number of advantages such as vibration and imbalance control. The magnetic bearing control system power consumption is very low. For example, the latest generation controller used for the 75-350 kW motor consumes less than 200 W.
The system is equipped with a backup power supply to maintain magnetic levitation in the event of grid failure. In case of a blackout the motor switches into a generator mode that provides power to the magnetic bearings until the shaft slows down to a low speed and rolls to a stop on the ball bearings without any damage to the equipment. These motors are provided fully assembled and ready to accommodate the customer’s impeller and volute (fig. 3). Depending on the power of the motor and of the cooling that is required, the motor housing is designed for either air or water cooling. 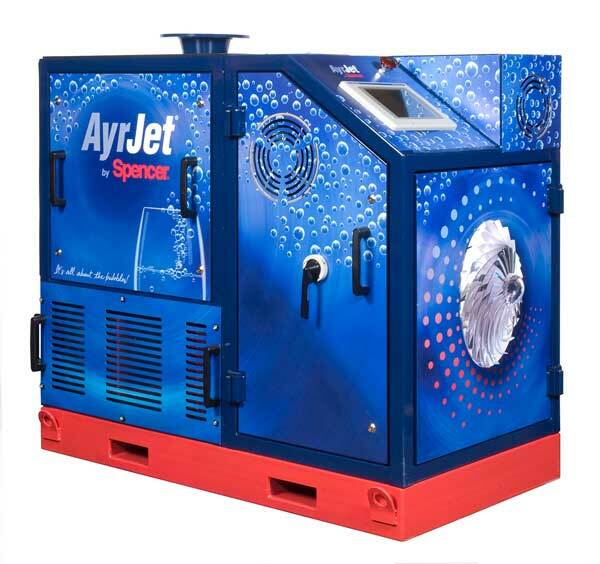 The cooling units (fans, heat exchanger, pumps) are provided by the customer. The MBC is integrated along with the variable speed drive and other electronics into the blower unit. The communication between the MBC and blower controller is achieved by means of the Modbus protocol. In addition, monitoring of operating parameters and troubleshooting can be performed with an external PC through an ethernet port with the help of the MBScope® software suite (fig.4).The variable speed drive can be supplied by a number of authorized manufacturers. The motor and electronics are further integrated into a customer’s blower unit, yielding a compact final product (fig. 5) ready for installation at a watertreatment plant. The scope of supply can vary from core components to a full package, giving the customer design flexibility or the advantages of a single-source supply. The offering described here meets these requirements and represents the technological choice of the future. A wastewater treatment facility in France serving a city of 100,000 inhabitants and local industry had been operating with four 80 kW lobe-type blowers, and these presented the operator with several issues, including frequent breakdowns, high energy consumption, high noise levels and treatment process problems. 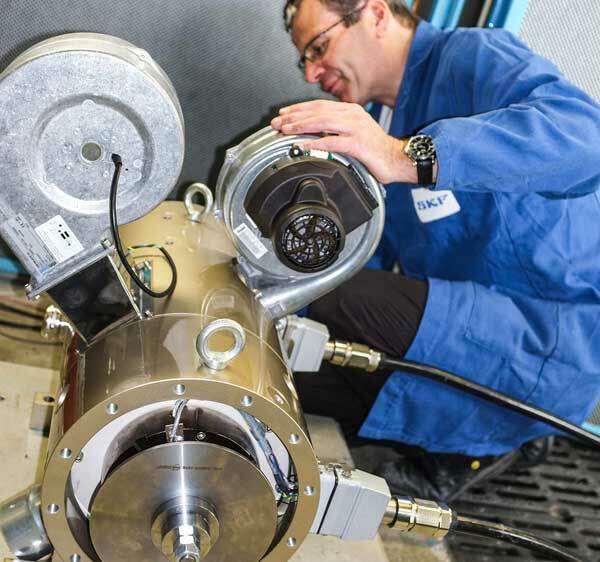 After replacing the lobe blowers with two 120 kW new centrifugal blowers that featured the SKF high-speed permanent magnet motor solution, the results were immediate and highly satisfactory. 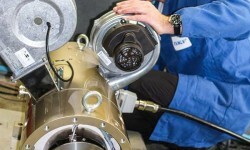 The variable speed blowers incorporating the SKF solution simplified regulation of the flow rate, improving the treatment process significantly. Noise levels fell from 110 dBA to 70 dBA, and maintenance demands dropped considerably. The bottom-line reductions in energy use were even more impressive. After only a year in operation, the blowers equipped with the SKF solution cut plant CO2 emissions by 375 tonnes and operating costs by 54,000 euros. The upgrade to more efficient magnetic bearing blowers offered a short payback (less than two years) from the energy savings alone. This case is a good illustration of a strategy to reduce operational costs. The shrewd choice of the right equipment has resulted in important financial savings. Another example is Jin Tong Ling Fans Co. Ltd. from Jiangsu Province, China’s leading blower manufacturer. 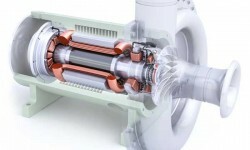 The company has signed an agreement to develop several larger-size blowers driven by the SKF motor. These blowers are designed for bigger aeration tanks that are needed to supply clean water to fast-growing urban centres. Demand in China is enormous as several hundred new wastewater treatment plants are being built each year. In fact, the 12th Five-Year Plan (2011–2015) targets 380 billion yuan (about 46 billion euros) investment on wastewater infrastructure alone. SKF delivers integrated engineering solutions that respond to global challenges and to local demand. The new offer of 75-350 kW motors range is designed to meet expectations of all major centrifugal blower manufacturers worldwide. In 1976 the French company S2M, then an SKF subsidiary, was the first in the world to commercialize magnetic bearings for a turbo-molecular vacuum pump application for the semiconductor industry. The company pioneered magnetic bearings for the world’s first oil-free natural gas compressor in 1985. S2M was fully acquired by the SKF Group in 2007. Today, SKF Magnetic Mechatronics employs more than 250 people worldwide and has an annual turnover of 50 million euros. The headquarters is located in Vernon, France (80 km west of Paris), and integrates research and development, engineering, manufacturing, marketing and service support activities. Recently, SKF S2M’s magnetic bearings were selected to equip the compressors and high-speed motors for subsea gas compression systems located in the North Sea in Norway. In the oil and gas sector, the brand SKF S2M Magnetic Bearings is well recognized and enjoys a high reputation. Other than the oil and gas industry, the company supplies oil-free PM motors for leading manufacturers of industrial and commercial rotating equipment.